Mrs. Dominguez is in her 9th year teaching second grade at Renaissance Academy. She moved to Utah in 2007 after graduating from San Diego State University with a B.A. and teaching credential. In 2011, she married her best friend, and they are living the dream and loving life in Utah. In her classroom, it is her goal for every child to develop a LOVE for learning and to look forward to coming to school each day. 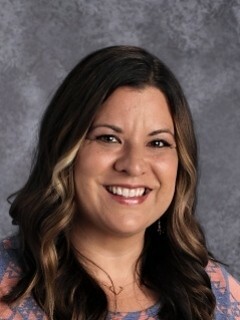 Mrs. Dominguez loves to incorporate music, movement, and many other creative avenues into her teaching. She enjoys watching movies, shopping, making crafts, baking, spending time with family, and so much more. She is excited for the new school year to begin and to be teaching again at Renaissance Academy!